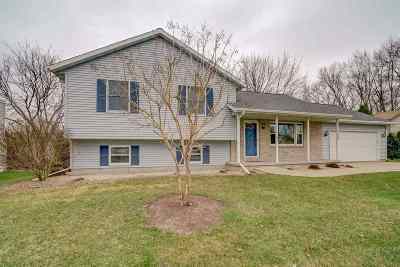 601 Nordic Tr, Stoughton, WI.| MLS# 1853607 | John Reuter Realtor/Broker/Owner of The Reuter Team. Wisconsin Homes for Heroes Realtor. Proud to be the Top Homes for Heroes Realtors in Wisconsin and One the Top Homes for Heroes Realtors in the United States. This lovely 3 bedroom/2.5 tri-level is situated on a quiet dead end street and ready for you! Main level features hardwood floors, sunny kitchen w/pantry and abundant counter space and cabinetry. Large dining area steps out to new deck and a private backyard with mature trees. Heated garage and tons of storage throughout home. 3 spacious bedrooms with 2 full baths and LL family room with Â½ bath and walkout to patio. But wait there's moreâ¦another finished space for office or workshop. This home is meticulously cared for w/new roof, deck, w/h, home warranty included. Call for more details before it's gone! Directions: Hwy 51 To Hwy B To N. Page To Nordic Or Main Street To N. Page To Nordic.